Annie V. Lam, principal of the Lam Consulting Group, is a recognized expert in public and nonprofit service. The Lam Consulting Group specializes in governmental affairs, organizational development, and nonprofit management. She is well known for her strategic approach to enhancing and revitalizing organizations. Of particular note, she was instrumental in helping both the League of CA Cities Asian Pacific Islander and Women’s Caucuses achieve revitalization goals by strengthening programs, increasing fund development, expanding membership recruitment, and nurturing new collaborative opportunities. Both Caucuses support and advance local elected officials. Annie is very passionate in helping increase participation of elected and career professionals in government through leadership and professional development programs. Annie founded APIs Mobilize to build the community power of Asian Americans, Native Hawaiians, and Pacific Islanders through its statewide educational programs. 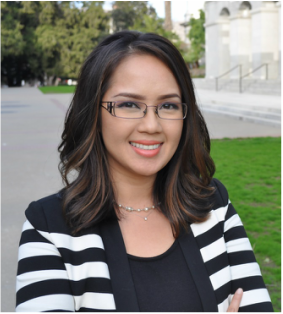 She has served in various capacities in the political arena for over a decade, working in the California Legislature as a legislative aide to Assemblymember Judy Chu and legislative director to Assemblymember Mike Eng. Annie is the recipient of the Sacramento Business Journal’s 40 under 40 Award, the Asian Pacific American Leadership Foundation’s Woman Warrior Award, the National Association of Asian Pacifics in Politics and Public Affairs inaugural Forward Award, the Center for Asian Americans United for Self Empowerment’s Partners in Public Service Award, and the California Democratic Party’s API Caucus Rising Star Award.